It’s that time of year again. 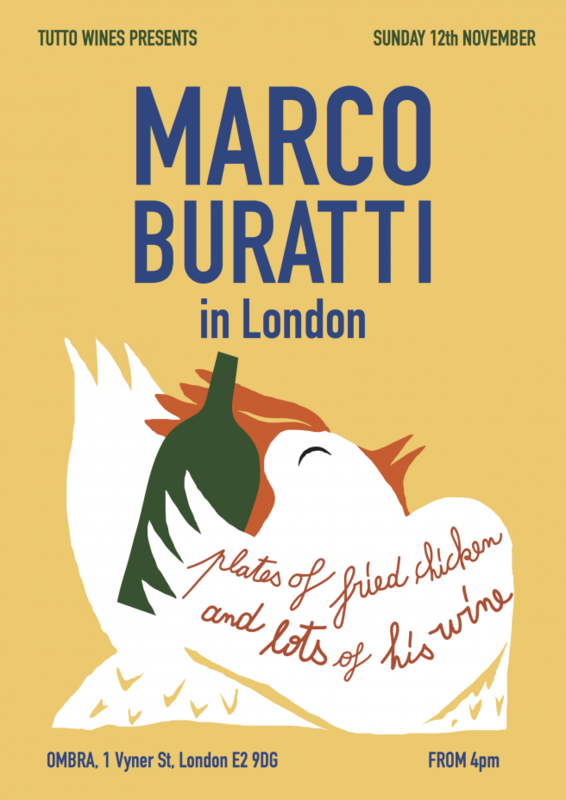 The leaves have fallen, the days are darker and we’ve invited Marco Buratti of Azienda Agricola Farnea in the Veneto back to London to cook some fried chicken and pour his wines for you all. Join us at Ombra on Mare Street on Sunday 12th November from 4pm to enjoy Marco’s Ombra, L’Arietta, Mai Domi, All-In & Birbo alongside plates of pollo fritto cooked by Marco and Ombra’s own Mitch in the same way locals have doing for years at Al Sasso, the Colli Euganei’s legendary trattoria that specialises in the dish. There is no need to book, just pop by for a few glasses of Marco’s wine, some chicken and a good time.